We are situated at Religious city of India Shri Amritsar Sahib. Harjinder Singh Mattewal Rumale wale manufacturer, Retailer, Wholesaler of Rumala, To adorn his highness Shri Guru Granth Sahib Ji, A big range of Rumala Set, Chandoa Sahib, Nishan Sahib, Chawar Sahib, Spl. for Golden Temple & All Gurudwara Sahib according to your choice for order & ready stock. Bullion-Gold & Silver The Firm supported by Skilled workers in different departments like Hand Embroidery, Carving, Weaving, Stitching and other Craftsmanship with Zardozi and Precious Stones and Embellishments. Every Single Rumala & Chandoa Sahib is personallychecked for Perfection and Satisfaction. We are the foremost Designers have sought to present the most exceptional examples. Infrastructure : Infrastructure backed by Sophisticated Technology and Strong manpower, we are well equipped to provide a Range that is unbeatable in Designs and Quality. Our Manufacturing unit has all required Machinery and Technology to meet the needs of clients within the Stipulated Time frame. Our Team of Specialized Tailors, Hand Embroiders and Artisans have been the strong points of our organization that enable us to cater to a large Client Base. Customer Satisfaction : Client Appreciation has been our source of Inspiration and Motivation factor to achieve our Goals. Our Premium Quality Products and Ability to Design and Manufacture exactly as per Customer Specifications have earned us Loyal Clients. 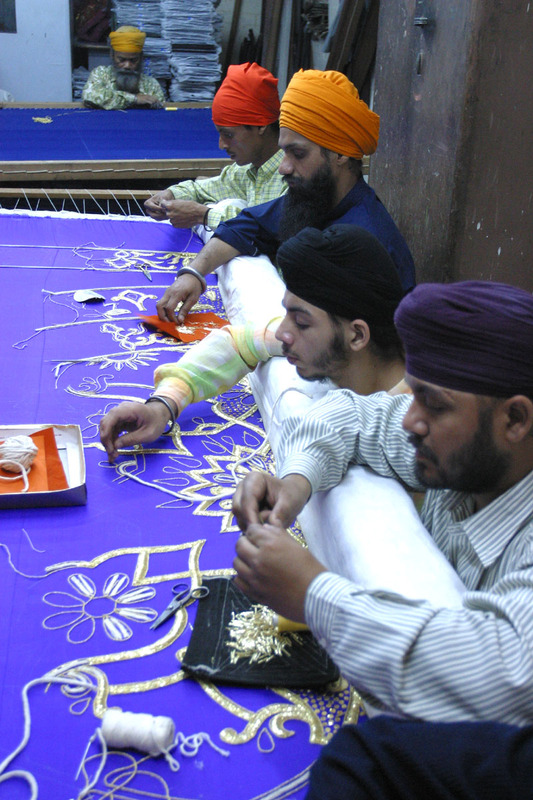 Our extraordinary Collection of Hand Embroidered Rumala Sahib and Chandoa Sahib have been appreciated and Demanded by a large number of believers settled in India and across the Globe.